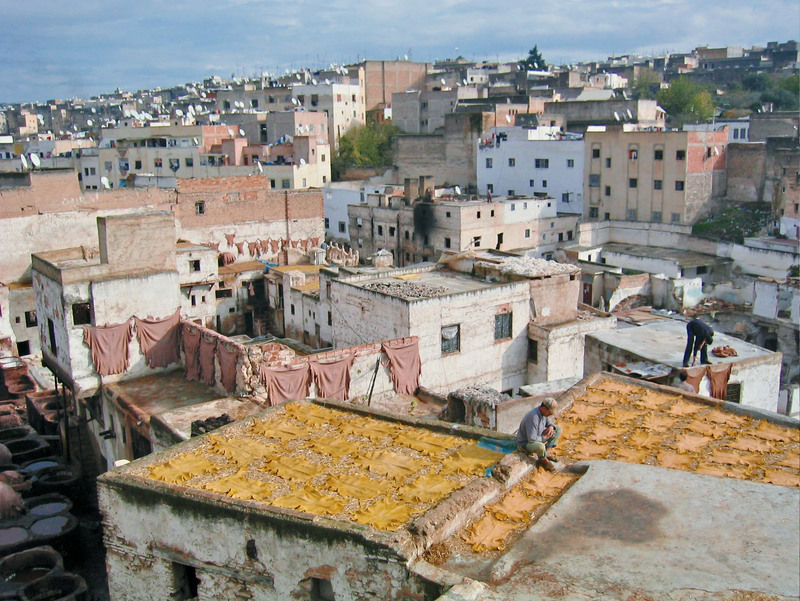 When I was 18 I spent four months living in the capital of Morocco, Rabat. It was a fantastic way to experience a culture completely different than my own, especially given that I lived with a local family for the whole time I was there. I got to eat lots of delicious Moroccan food (the pastries especially were to die for), view the traditions surrounding Ramadan and ‘Eid and travel all over the country, from Tangier in the North to Fes and Meknes in the heart of the country to Marrakesh and Essaouria in the South. 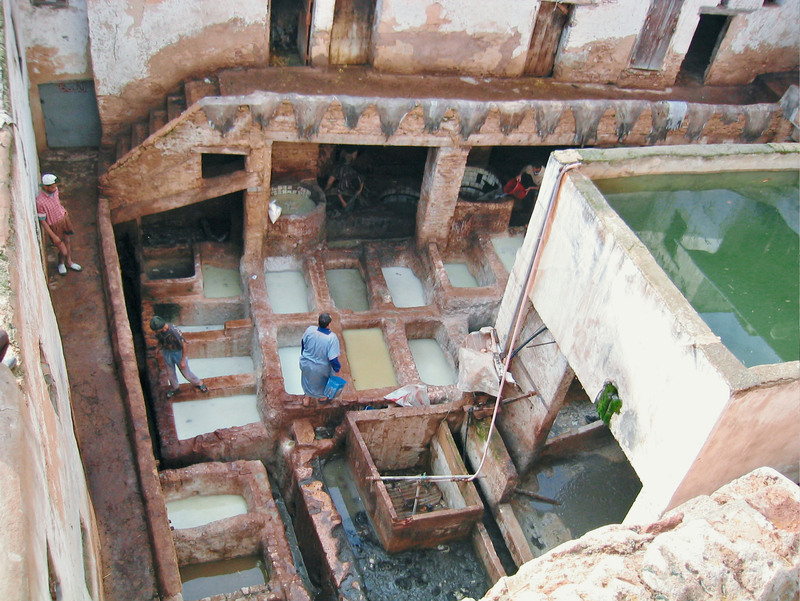 These pictures show the tanneries in Fes where the different hides are being treated. Apparently different colours are used for different animals – the brown skins are from camels and the yellow from goats (if my memory serves me correctly!). Whenever I’m about to head off to a new destination, I geek out on all the available literature, from travel guides to memoirs, novels and historical accounts of different periods. I love doing this as it’s a fantastic way to get a better feel for where I’m headed, beyond just the tourist scene. Lonely Planet guides often have some pretty good recommendations for key works – worth checking out! Anyway, here is what I delved into during my time in Morocco. 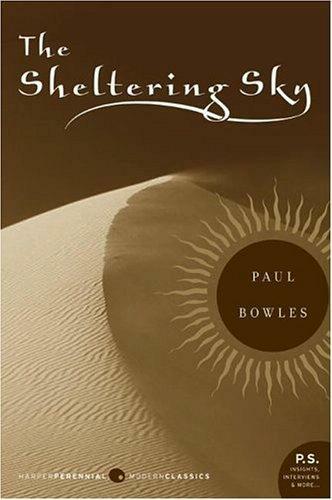 The Sheltering Sky by Paul Bowles. Paul Bowles was an American writer who travelled in North Africa during the 1930s before settling permanently in Tangier in the 1940s. His books are hugely evocative of post-WW2 Morocco, when the country was divided up and controlled by different Western nations, before achieving independence in 1956. The Sheltering Sky follows three Americans on an ill-advised exploration of the country during the post-war period, including a couple whose marriage is on the rocks. The book is pretty bleak at times but a great read nonetheless, and was made into a very atmospheric film by Bertolucci, featuring dramatic shots of the North African landscape. 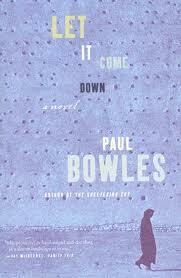 Let It Come Down by Paul Bowles. Another one by Bowles, Let It Come Down is set in Tangier, a city that I thought still had a seedy twist to it when I visited it. During the post-war period, Tangier was an ‘International Zone’, and this coupled with its port status rendered the city into something of a den of iniquity. The title of the book is taken from Macbeth, just before the murder of Banquo, and Bowles uses this to show the descent of the main character, the American Dyar, as he delves into Tangier’s underworld. Whilst the story of This Blinding Absence of Light is fictional, the desert jail in which the characters of the book are incarcerated is real. Tazmamart was a prison built by King Hassan II following an attempted coup in 1972, and was used to house the army officers involved and other political prisoners. The story describes the life the prisoners led in this barbaric desert outpost, in sparse but moving detail. Well worth a read, and thank god this prison was closed in the 1990s when attention began to build about it. The rest of Ben Jelloun’s books are also worth a read, although they are often easier to find in French than in English (as although his first language is Arabic, he writes only in French). 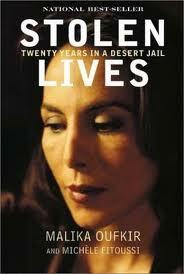 Stolen Lives: Twenty Years in a Desert Jail by Malika Oufkir. Another book that looks at the brutal repression that faced political opponents of Hassan II, Stolen Lives is the true story of the family of General Oufkir, one of the officers involved in an attempted coup. Malika and her siblings went from living in the royal palace alongside the King’s children to being incarcerated in a series of horrendous jails, following the execution of her father. I can’t even imagine what this would have been like, but the story shows the true resilience Malika and the rest of her family displayed over their long imprisonment. Thankfully the current king is a lot less repressive than his father was; whilst Morocco has its issues still, the country has moved on a lot in the last generation.